Perfumes & cosmetics are some of the most sought after items for tourists visiting Langkawi. It's well known that this duty free island will have virtually all brands of the world showcased here at reasonable prices. 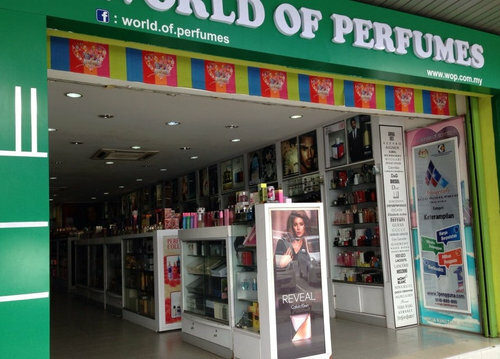 While most of the large duty free stores and shopping malls in Langkawi would have perfumes and cosmetics as one of their essential stocks, but if you want the real designer fragrances and some of your specific favorite brands, you may need to look into specialized stores retailing them. And there are several such specialized stores in the island. First let's look into the specialized standalone shops in Langkawi that have made their own names in the island and then some of the shopping malls and centers that are also great hunting grounds for perfumes (both for men & women) and cosmetic products. Located in Kuah, the store has been operating since 1997. Initially they were dealing with watches, cameras, cosmetics, health & body skin products, etc. It was then known as RTA Center. Later since early 2000 they have been specializing in perfumes and acquired the trade name World of Perfume. The outlet in Kuah has about 1000 sq. ft space. They have been importing a wide range of brands from both eastern and western world. The stock includes over 75 brands including both budget and luxury perfumes. Some exclusive & rare brands includes Marc Jacobs, Prada, Thierry Mugler, Kenneth Cole and Roberto Cavalli etc. You will also get alcohol free and Concentrated Perfume Oil here. You will definitely notice that the prices are lower than many other places and the varieties are almost unmatched. The company now has several branches both in Malaysia and overseas countries. This is another stand alone store specializing in perfumes. If you are a perfume lover, you will go crazy looking at the collections here. They have a lot of designer fragrances from a range of brands. It's a duty free shop and the perfumes are reasonably priced. Pusat Bandar Kuah; Phone: (604) 969 8286 / 969 8288. The store is located in Langkawi Fair mall in Kuah. They boast of over 200 designer fragrances with brands like Davidoff, Chanel, Elizabeth Arden, Versace, Estee Lauder, Gucci, Hugo Boss etc. 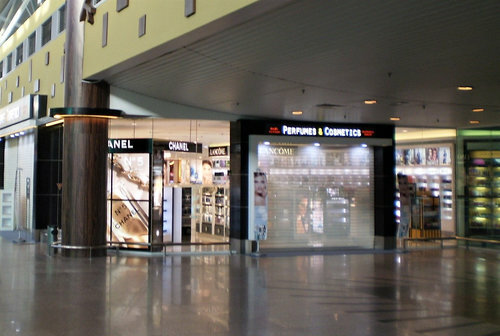 The most prominent store in the duty free lounge of Langkawi International Airport is the Perfumes & Cosmetics outlet. This is a great place to look for your favorite fragrance or cosmetics like pedicure & manicure products. But is it inexpensive? By no means even though it is duty free. Does is it have good collections? Yes, by all means. It's a great store with all the latest products from all over the world. You don't have to look anywhere else. You can shop here after landing or while departing or even when vacationing in the island. The duty free area at the airport has 24-hours free access to all. 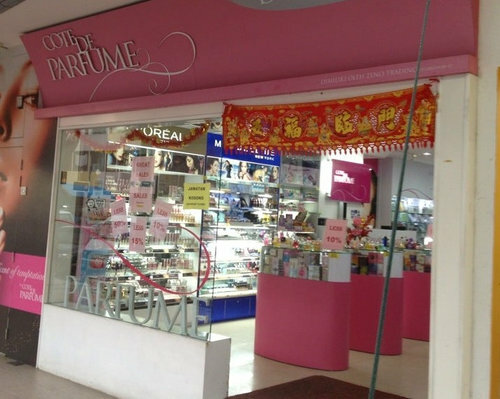 The Teow Hoon Suat departmental store inside the Langkakwi Parade mall stocks huge collection of cosmetic products and perfumes. The brands include Estee Lauder, Guerlain, Revlon, L'oreal, Dior, Clarins, Boss, Elizabeth Arden, Chanel, Lancome, Hugo and lot more. They are all very reasonably priced. The mall is located just outside Kuah towards west (Padang Matsirat) and takes about 15 minutes to reach by taxi.